Today, when you order "Prophecy Pack by David Regal", you'll instantly be emailed a Penguin Magic gift certificate. You can spend it on anything you like at Penguin, just like cash. Just complete your order as normal, and within seconds you'll get an email with your gift certificate. Comes complete with a special bicycle poker deck of cards! A prediction is written on a piece of paper and handed to a spectator for safe keeping.A deck of cards is shown front and back. The spectator shuffles and cuts the deck as often as he likes. The spectator cuts the deck into four piles. The spectator then selects one of the piles, and turns over the top card of his chosen pile. Amazingly this card matches your prediction. People have started religions with less!- Very easy to do! - No sleight of hand!- Can be learned in minutes! 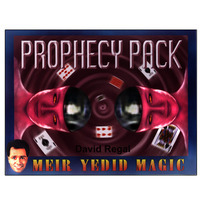 Prophecy Pack uses a deck of cards, but it is NOT just a card trick. 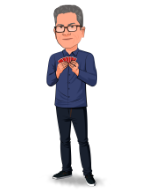 It happens to be one of the all time great pieces of mentalism using cards. The cards are shown face up to be different and mixed. The cards are then shuffled ( they can even shuffle ). You ro they can cut the pack into 4 piles. They have a free chooice of any pile. Just order it and crush some minds!